This is by far the most significant mastaba at Abusir, and well worth the visit. Several rectangular pillars have been re-erected in the courtyard. The parts exposed are heavily eroded. Ptahhepses was vizier to Sahure. 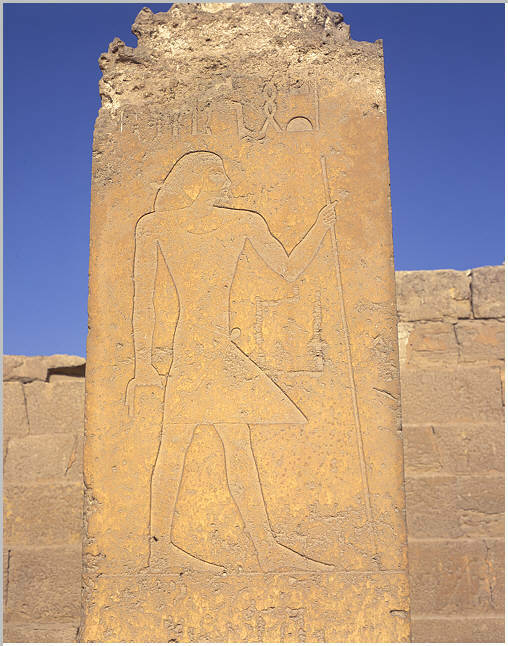 The mastaba is situated just a few dozen meters south of the pyramid of Sahure. The mastaba contains an extremely interesting tomb complete with intact sarcophagus. Pillar in Mastaba of Ptahshepses.